This is one of the most famous Latin legal maxims. It is placed above the courthouse doors of many cities around the world, like in the picture above of Milan’s courthouse. The phrase comes from a lost work of the great Roman jurist Ulpian, the “Rules”. The relevant passage was included in the Digest of emperor Justinian, a handbook for Roman law students. "Justice is the constant and perpetual desire to give to each one that to which he is entitled. This are the precepts of the Law: to live honestly, to harm no one, and to give to each one his due." Cogito ergo sum is one of the most popular Latin quotations. Its meaning is not, however, equally well known. Descartes's assertion may seem, at first glance, trivial, but it must be understood in its context. In the sixteenth and seventeenth centuries, philosophical skepticism was in a boom phase. It was a time of bloody wars of religion in which opposing dogmas generated in intellectual circles a strong tendency to relativism. To this was added the influence of the popularity of some ancient skeptic philosophers such as Sextus Empiricus. 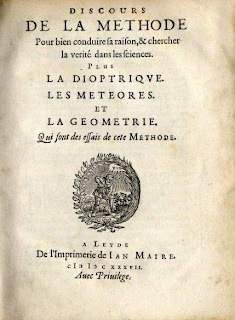 Descartes's goal in his Discourse on Method was to fight this skepticism and to provide a basis on which human knowledge could be developed. In the search of that unquestionably principle, Descartes applies systematic doubt to reject any assertion with the slightest possibility of falsehood. In this way he discovers that one can doubt about almost anything: the information our senses give us is not reliable, we easily fall prey to illusions, and there is no guarantee that the everyday world we experience is not just a fantasy of our own conscience or -as suggested by Descartes himself- the deception of a malignant deity. 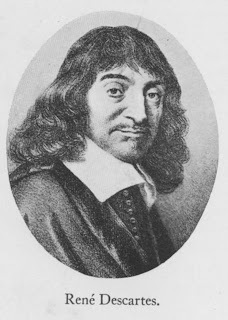 Doubt seems, therefore, to destroy everything and leave no solid foundation for knowledge, but Descartes finds a point at which doubt must necessarily stop: there is a person who is thinking that everything is false and, if this person is thinking, this means she exists and that cannot be doubted. That is the idea expressed in the quotation under discussion, Cogito ergo sum. In his search for a method based on a totally rational foundation, Descartes finds a fundamental and undeniable truth: the existence of the self as the basis of all acts of unquestionable knowledge. 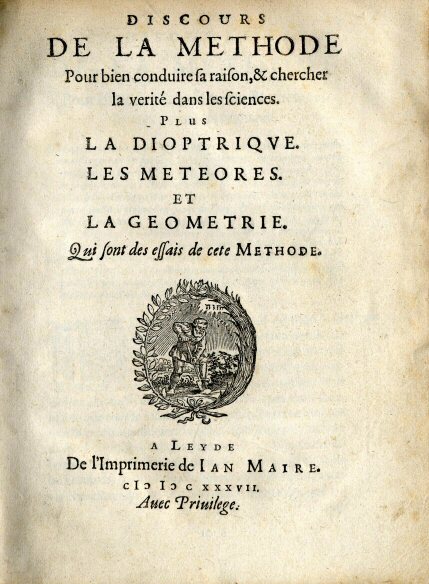 After finding this preliminary truth, Descartes extracts from it a general criterion that allows him to identify other truths: every simple intuition must be true or, put another way, all clear and distinct ideas must be true. 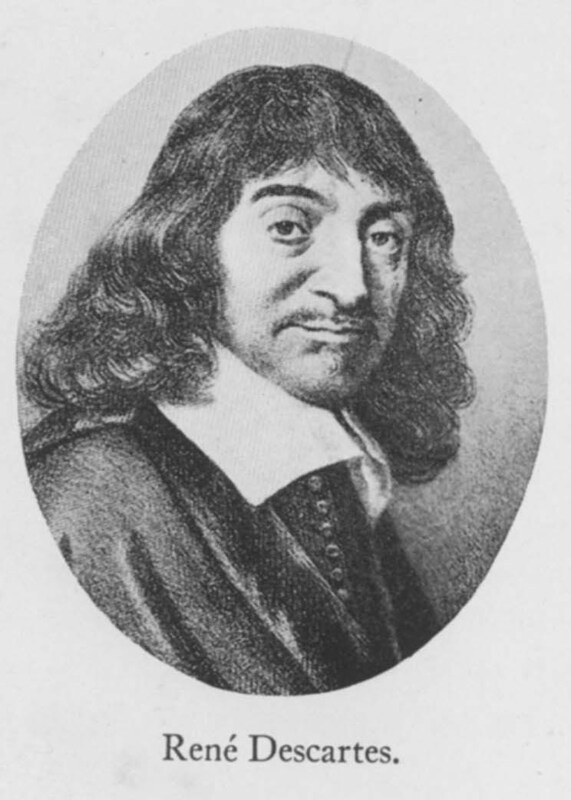 I think that Descartes here contradicts the first and central of the four methodological principles he had laid down in the second part of his Discourse on Method: "not to accept as true anything, if there is not evidence that it is". Now, that an idea is clear and distinct is not enough evidence of veracity, besides, the clarity of an idea is appreciated differently by different people. As the humanist, historian and philosopher Giambattista Vico (1688-1744) said, if an idea seems us clear and distinct that does not mean it's true but only that we believe in it. The Romans worshiped in the figure of the god Terminus the sanctity of boundary stones. According to legend (Livy, 1.55), when king Tarquin began construction of the temple of Jupiter on the Capitol, he ordered the removal of the altars and shrines of all the gods that were worshiped there, so the area could be devoted exclusively to the king of the gods. All were transferred without problems, except for Terminus, represented with a stone that could not be removed. The Romans saw in this fact a manifestation of divine will, and let the rock inside the temple. Hence the expression "I yield to no one", because Terminus had refused to yield to Jupiter himself. This fact was interpreted as an omen, meaning that the dominion of Rome would be everlasting. The prophecy proved valid for centuries. The celebrity of the sentence “concedo nulli” is due to Erasmus, who took it as a personal motto in 1509, adopting the old god Terminus as its emblem. 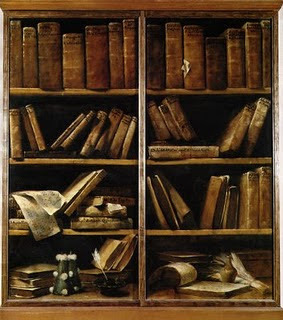 The young Erasmus was then in Italy, and began to enjoy international recognition for his work and abilities. Apparently, Erasmus received from his pupil Alexander Stewart a gem depicting the god Terminus, and this is what inspired him to take the image of the god and the Latin quotation discussed here as personal emblems. They appear in a famous commemorative medal minted for Erasmus, whose image you see below. Erasmus is also shown next to the god Terminus in a famous engraving by Holbein. Erasmus' enemies saw this motto as a sign of intolerable arrogance. In 1528 Erasmus wrote a letter justifying his choice of these words and trying to disarm his critics: the "epistola apologetica de Termini sui inscriptione concedo nulli" There, the great humanist stated that the term did not represent his own words, but those of death, the only one that yields to nobody. But this explanation did not satisfy his enemies. Written almost twenty years after the original stay of Erasmus in Italy, it seems, in fact, a later reworking. Humility was never one of Erasmus virtues. Posterity has been, however, more benign in judging Erasmus than his contemporaries. Wolf is the man for man, not man, when he does not know who is the other. Erasmus included this phrase in his collection of adages, but his celebrity is due to the modern British philosopher Thomas Hobbes (1588-1679). Hobbes is known today mainly for his groundbreaking developments in the field of political theory (especially in his work Leviathan, whose cover is here reproduced), but he was also a philologist and eminent scholar of classical antiquity, as is evidenced by his -still today frequently reprinted- English translation of Thucydides. 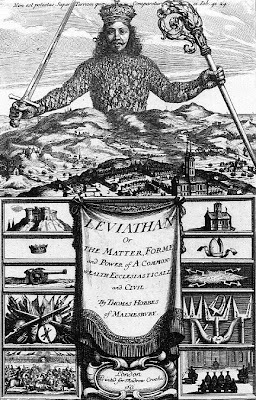 Having experienced the atrocities and cruelties of the English Civil War, one of Hobbes’ central aims was the discovery of the rational principles that could help building a stable political regime. The state of nature (i.e., the absence of government) was considered by Hobbes as a synonym for a permanent state of war of all against all, in which the achievements of civilized life would be impossible. Only a government with concentrated power can, in his conception, avoid that conflict. The Latin phrase homo homini lupus illustrates this idea with great force. If a greater authority does not impose restrictions on their brutal instincts, men behave like beasts ready to fall on each other. This pessimistic view of human nature has been criticized from every position imaginable, perhaps rightly so. History, however, shows beyond doubt that man is the most formidable predator of its peers. The ruins of Pompeii bear -for its wealth of information- unique testimony to the richness and variety of daily life in an ancient Roman city. Visitors of the modern archaeological park near Naples are doubly surprised, because Pompeii offers an unexpected mix of known and strange things. The first impression the city gives is one of “modernity”, the urban design and the buildings seem remarkably familiar to us. This familiarity is, however, only superficial, and visitors soon marvel at the many exotic elements in every corner of the city. 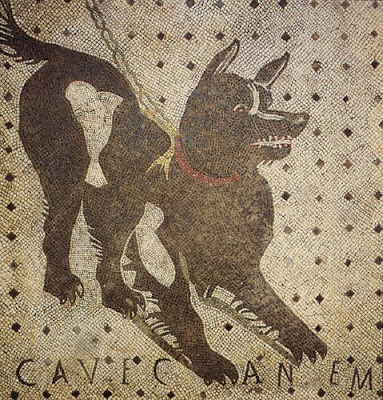 Among the many surprisingly familiar things, there is a beautiful little mosaic depicting a chained dog together with the brief text Cave Canem, beware the dog. 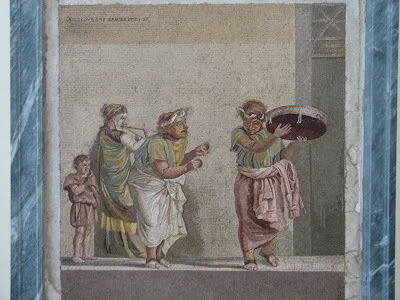 The mosaic is on the floor of the entrance hall to the House of the Tragic Poet, (a house famous for its particularly exquisite decoration with mosaic floors and frescoes depicting well known scenes from Greek mythology). A similar picture is described by Petronius (Satyricon 29) and it is sure that mosaics like this one were a popular motif for the thresholds of Roman villas and rich houses. This short phrase (quite different from the deep and philosophical reflections normally discussed in this blog) has for me a special charm. In my opinion, it illustrates how Latin can give a powerful force even to the more banal thoughts and expressions. Martial, Epigrams, 12, 10, 2. Satirical wit and brevity are the essence of epigram and Martial is the undisputed master of the genre. The poet is a cynical observer of imperial Rome, and an intelligent critic of its vices and miseries. His poems are classics because its criticism transcends time and reflects the flaws that plague human nature at all times. Insatiable greed is one of them. The tone of the Martial Epigrams is, however, never too harsh, never quite damning. In his work, a decadent and sophisticated society looks itself, and this, rather than to reproach, moves to laughter.